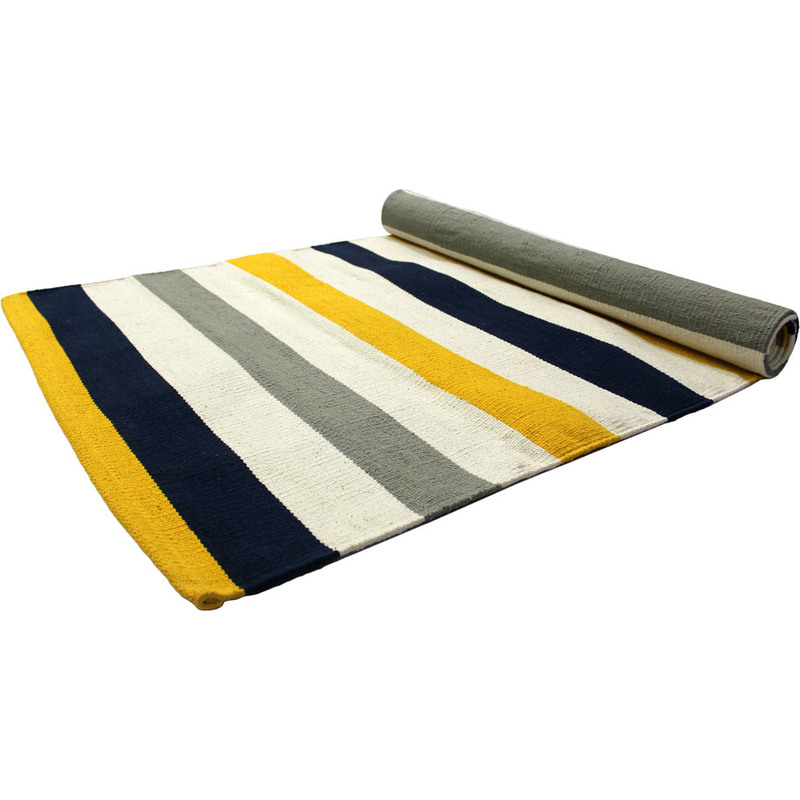 This all-cotton hand-loom Cotton Practice Rugs (Woven Rug) offers comfortable, breathable substitute for foam mats. Place these colorful cotton rugs over your yoga mat to create a comfortable, absorbent surface for practice. These cotton rugs are appropriate for everything from hot yoga practice to meditation. Our 100% cotton practice yoga rugs are earth friendly mats, as they are completely biodegradable and PVC free. Made from yarn-dyed cotton, these are densely woven in a traditional hand-loom pit.